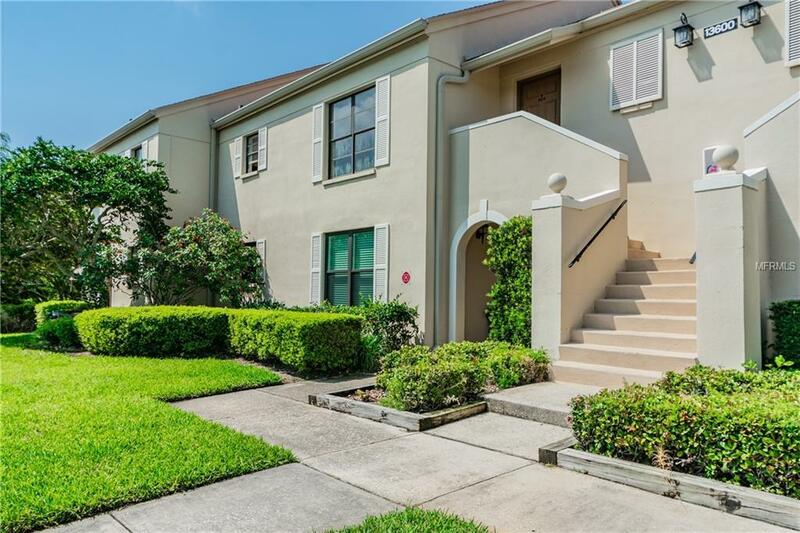 Enjoy maintenance free living in this beautifully maintained 2 bedroom 2 bath 1st Floor unit in Bordeaux Village II community of Feather Sound. Kitchen has been totally updated and features stainless steel appliances, marble countertops and tile porcelain flooring. Baths have been updated and the master offers marble countertops. 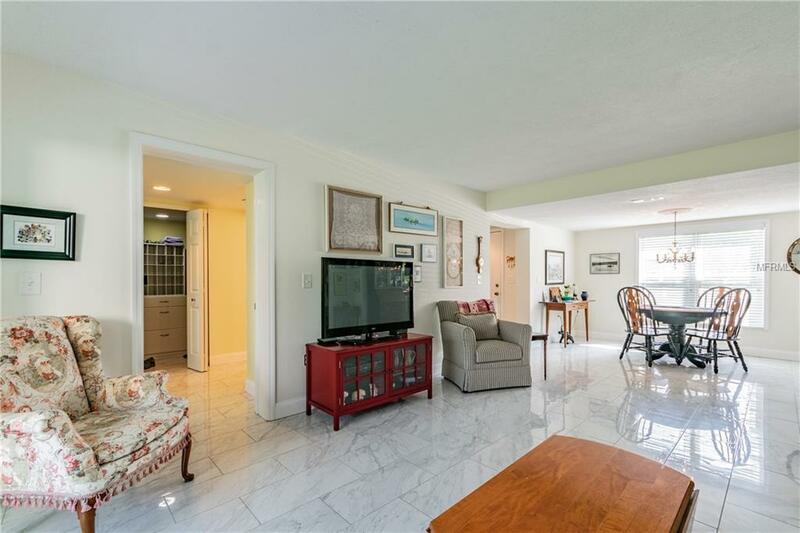 The unit has porcelain tile flooring through out with a living room/dining room combination. The master suite provides two walk-in closets.Master bath has separate walk-in shower and separate bath tub with a shower. All windows/sliders are updated to current Hurricane codes.The slider cost $9000 to replace. A/C is 9 years old, water heater is 8 years old, appliances are brand new and roof is 1 year old. 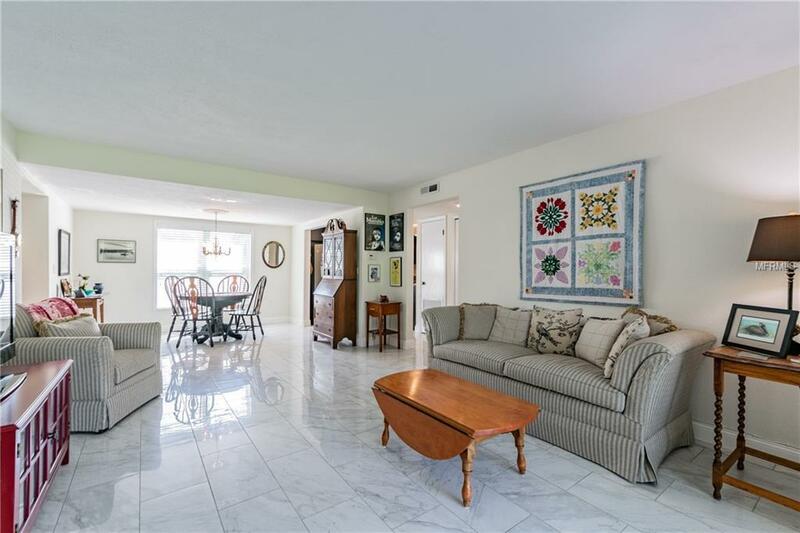 From the living room you step onto the spacious screened lanai with pond views. What a great area to entertain! Feather Sound Country Club is located across from the community. Bordeaux Village is centrally located to I- 275, Tampa/St. Petersburg airports, downtown Tampa, bustling downtown St.Petersburg and the Gulf beaches. Flood Insurance included in maintenance fee. Additional Lease Restrictions See Condo Docs Or Verify With Management Company.